At first glance, one may think the Ussher Fort Polyclinic only serves the purpose of a health facility for the people of Jamestown; providing basic healthcare needs for residents in its catchment areas. But the health facility does a little more than just providing healthcare services. The facility houses a skills training centre where teenage mothers and girls who have dropped out of school acquire dressmaking skills in a two-year programme being sponsored by the United Nations Population Fund (UNFPA). “We started in 2002 and, so far, we over 50 students passing through this place. Ophelia Palm, Adolescent Health Coordinator, told a UNFPA delegation led by Dereje Wordofa, Deputy Executive Director (Programme). “So these machines were given to them free of charge so at the end of the month they pay GH¢10 and we keep it up to two years and we use it to buy a new sewing machine which they can use to work and generate income,” she told them. Eighteen-year-old Kadijah Yeboah is a beneficiary of the programme which incorporates sexual and reproductive health rights (SRHR) awareness with the training. Kadijah, who is a junior high school graduate, has been at the centre for a year now and has advanced in sewing. “I have learnt a lot. We write exams and I am able to pass. Apart from the sewing, they come to talk about sexual reproductive health with us and what I have learnt is that we have to develop ourselves and become self-sufficient so our children can have better lives,” she indicated. This skills training centre is one of the interventions of the UNFPA in collaboration with the government to create gender equality within the Ghanaian society as stated in the International Conference on Population & Development (ICPD) Programme of Action. Twenty-four years ago, a historic event occurred in Cairo, Egypt. One hundred and seventy-nine member states of the United Nations decided on a major shift in the population debate. Some 20,000 delegates from various governments, UN agencies, NGOs and the media gathered for a discussion of a variety of population issues, including immigration, infant mortality, birth control, family planning, education of women and protection for women from unsafe abortion services. This was when the Programme of Action of the International Conference on Population & Development, the steering document for the United Nations Population Fund (UNFPA), was born. Universal education: Universal primary education in all countries by 2015. Urge countries to provide wider access to women for secondary and higher level education, as well as vocational and technical training. Reduction of infant and child mortality: countries should strive to reduce infant and under-5 child mortality rates by one-third or to 50–70 deaths per 1,000 by the year 2000. By 2015, all countries should aim to achieve a rate below 35 per 1,000 live births and under-five mortality rate below 45 per 1,000. Reduction of maternal mortality: A reduction by ½ the 1990 levels by 2000 and ½ of that by 2015. Disparities in maternal mortality within countries and between geographical regions, socio-economic and ethnic groups should be narrowed. Access to reproductive and sexual health services, including family planning: family-planning counselling, pre-natal care, safe delivery and post-natal care, prevention and appropriate treatment of infertility, prevention of abortion and the management of the consequences of abortion, treatment of reproductive tract infections, sexually transmitted diseases and other reproductive health conditions; and education, counselling as appropriate on human sexuality, reproductive health and responsible parenthood. Services regarding HIV/AIDS, breast cancer, infertility and delivery should be made available. This led to the Addis Ababa Declaration, which is closely linked to Africa’s Agenda 2063 and its first Ten Year Implementation Plan. The Regional Conference on Population & Development in Africa review the implementation of the Programme of Action of the International Conference on Population and Development (ICPD), adopted in Cairo in Africa in 1994, and its follow-up beyond 2014. Since the 2013 Addis Ababa Declaration, the African Union (AU) has adopted the demographic dividend as its theme in 2017 and developed the roadmap for harnessing the demographic dividend by investing in the youth. Last year, the AU again adopted an operational guide and monitoring framework to measure progress on the declaration, with member states presenting 49 national progress reports to the AU, an outstanding achievement unmarked by any other region in the world. 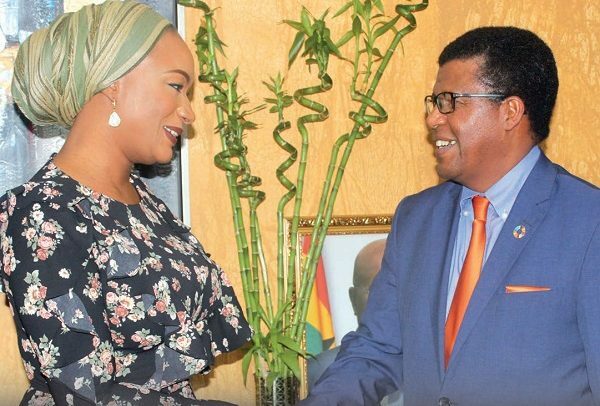 “We have come a long way and we have reason to celebrate,” Dereje Wordofa, Deputy Executive Director (Programme), United Nations Population Fund (UNFPA), said. He said for the actions being taken by member states, more adolescent and youth are able to go to school, stay in school, avoid child marriage and teenage pregnancy women and girls are able to go through their life without threat of illness or death due to increasing skilled attendants at birth. The conference is part of a major global process that would contribute to the full review of the ICPD Programme of Action and its contribution to the 2030 Agenda next year. It would also inform the first full SDG review in the UN General Assembly. Touching on the a few striking findings of the report, Mr. Wordofa added that there is a catalytic mass of young people who need investment to develop. Africa’s youth population, according to the substantive report jointly produced using relevant data and the national reports, increased from 137 million in 1994 to 230 million in 2015. “As a youthful population has fewer children, more empowered, better employed and educated, the prospects of acceleration towards sustainable development heighten considerably. Where investments in education and secondary enrollment have improved, there is genuine potential for a ‘schooling dividend’, particularly if education is aligned with potential employment,” he explained. 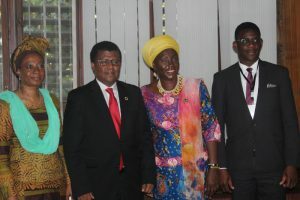 Mr. Wordofa, however, stated that secondary school enrollment remains under 50 per cent in parts of Africa, with girls lagging behind boys and poorer populations behind the wealthy, a situation which is also true in access to health services. “There can be no demographic dividend if large portions of the population are excluded from investments in education, health, reproductive rights and decent work,” he observed. Another striking point, he pointed out, is the pressing need to expand and accelerate efforts to strengthen health systems. The report shows slow and steady increase in access to sexual and reproductive health services, including family planning and slow but steady declines in fertility. Modern contraceptive prevalence reached up to 30 per cent in some countries, however, unmet needs for family planning remains high and has increased in some countries. “Many countries have health budgets below the stipulation in the Abuja Declaration, a key reason for slower than expected progress in reducing preventable maternal deaths. Skilled birth attendance increased across the continent from 45 per cent in 2000 to 63 per cent in 2017, the quality of services remains uncertain and poorly measured, resulting in still high maternal mortality. We need health systems that can prove truly universal access to sexual and reproductive health and rights,” he opined. Vice President Dr. Mahamudu Bawumia, in a speech read on his behalf, outlined activities of government in domesticating the ICPD Action Plan. “We have an urgent responsibility to invest in creating opportunity and a supportive environment for innovation and entrepreneurship,” he stated. He said through the government of Ghana’s medium-term vision titled ‘Agenda for Jobs – Creating Prosperity and Opportunity for All (2017 -2024)’, a comprehensive programme to make sure that every child of Ghana will have access to secondary level education, have an unimpeded access to skill development opportunity, and grow up endowed with skill, knowledge and ability to engage in decent employment. “We launched a Free Senior High School programme in 2017 to provide free secondary education for all Ghanaian children. We have so far placed into the classroom 90,000 and another 180,000 children, who otherwise would have been ‘drop-outs,” he said. The government, he added, is also focused on the technical and vocation education training (TVET) in Ghana to expand the horizon of the children and create linkages to the nurtured and revamped industrial sector. “Indeed, I believe it is only when as many people as possible have access to education in sub-Saharan Africa that we can pave the long way to a knowledge- based society. Education is an enabler,” he averred. According to him, education constitutes the major focus of all development questions because it has the greatest influence on many different aspects of life and society, including facing the challenges and taking advantage of the opportunity offered by population. The vice president pointed out that to ensure that the youth are engaged and get the opportunity to acquire job experience, deliberate job entry points have been created with the expansion of the Youth Employment Agency to recruit 80,000 young people as well as the Nation Builders’ Corp (NABCO), which is also employing 100,000 graduates into a work and learn scheme this year. I Am Developing ‘E.D.D' Stroke 'C.F'!